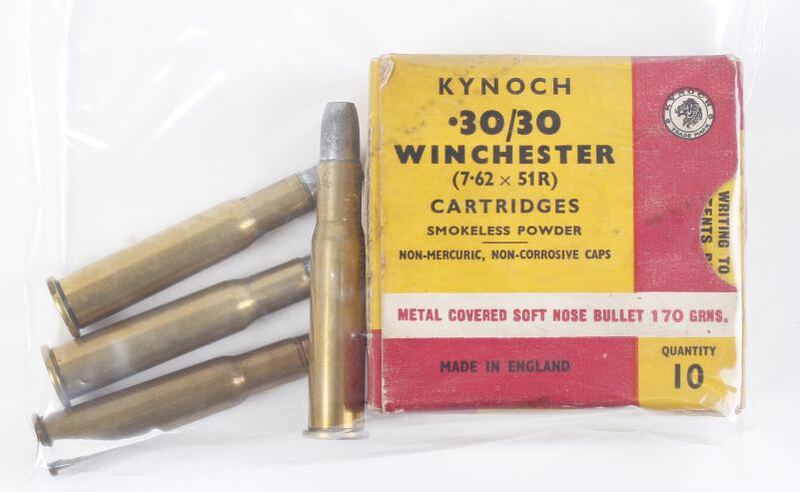 Kynoch, who of course made ammo for the big bores of dangerous game hunting, also made the "American Classic"
Thought some might find that interesting. Wow I never knew they did.....! I never knew that, either. Well, today has not been wasted. I learned something. I ain't sure I've ever heard of Kynoch. I've seen a lot of Kynoch ammo over the years...mostly overseas. I doubt most folks would recognize ammo for their good old "thirty-thirty" if you offered 7.62 x 51R to them..!! Those rounds rekindle an old flame in me! I once saw a chap with a 30wcf sxs double! It was lite and petite. I have since longed for a lite barreled break action single shot in 30wcf but they don't exist over here. I won't bother now but that little double will always have a special place in my heart! I've shot a lot of 303 Brit mil surp ammo, much of it made by Kynoch. Seen many other cartridges made by them ... except the 30-30. That is one box of ammo I'd love to add to my collection. That is interesting. I wonder how the ballistics compare with American ammo. Nath, the first Handi Rifle I bought was a .30-30 that I still have. Though Handi rifles are no longer made you might be able to find a Henry single shot.